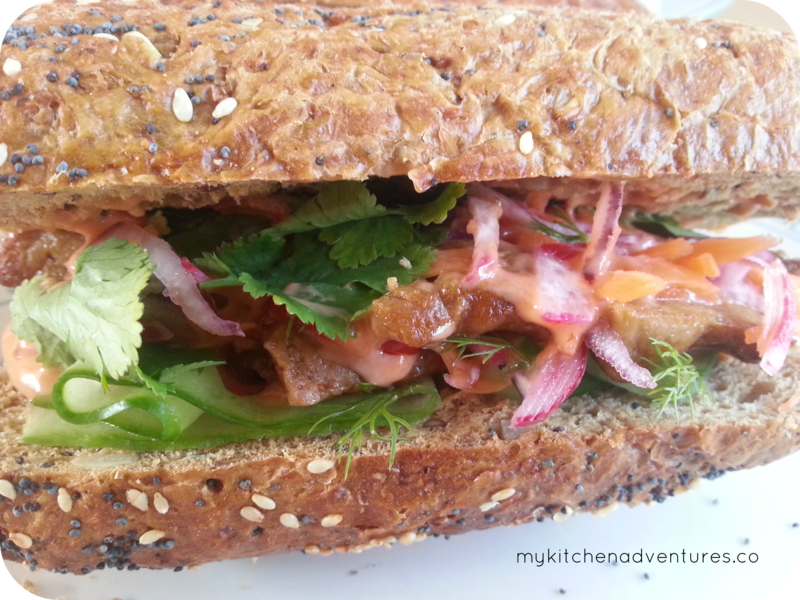 This French Vietnamese baguette may take a bit more time than a usual sandwich to make – but I promise it will be worth all your effort! 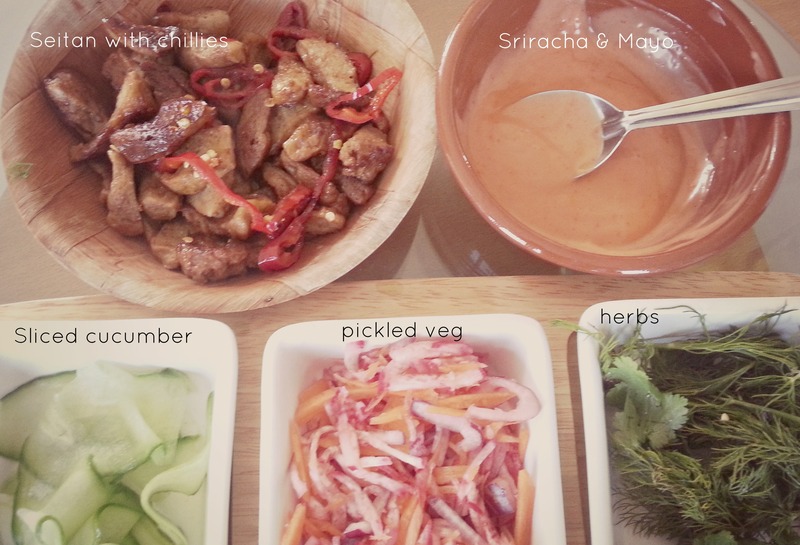 MKA tip: You can make the pickle and chilli mayonnaise in advance and store in the fridge the day before. To make the pickle: pour the rice vinegar, water, and sugar in a small saucepan over medium heat. Bring to a boil, and stir until the sugar has dissolved. Transfer the vinegar mixture to a bowl to cool and then place in the fridge to cool completely. After the pickling liquid has cooled, add the grated carrot, radish and sliced onion to the liquid and mix well. Cover and set aside to marinate for at least 30 minutes. Drain off the excess vinegar mixture after the vegetables have marinated and you’re ready to use them. While your tofu is cooking you can prepare the cucumber and herbs and keep them ready for the ‘Finale’ – the assembly line! 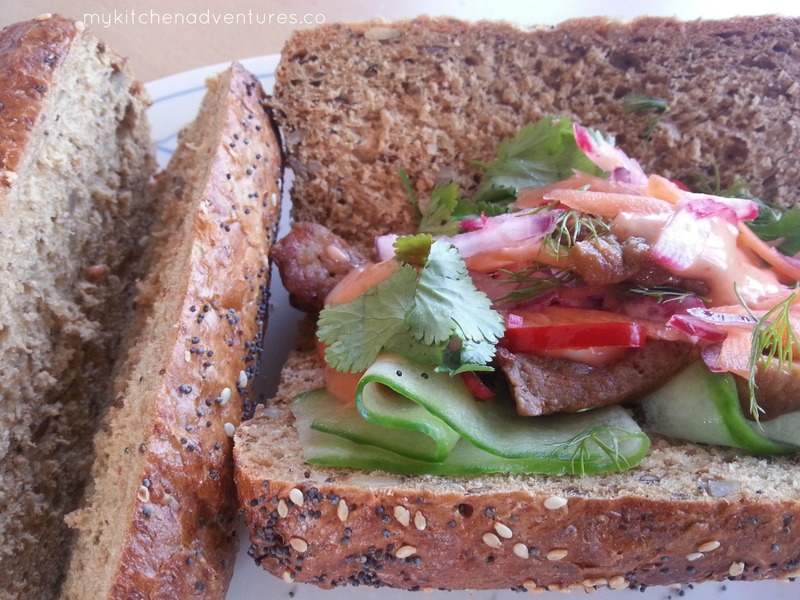 The order of the ingredients in your sandwich is of course up to you, but here’s my preferred order: chilli mayo, sliced cucumber, some herbs, seitan mixture, Pickle, a second lot of herbs then finally another layer of chilli mayo.